Ragnarok 3.0 Tour Split Cassette available! What’s that? The infamous split cassette that all the celebrities are talking about?? 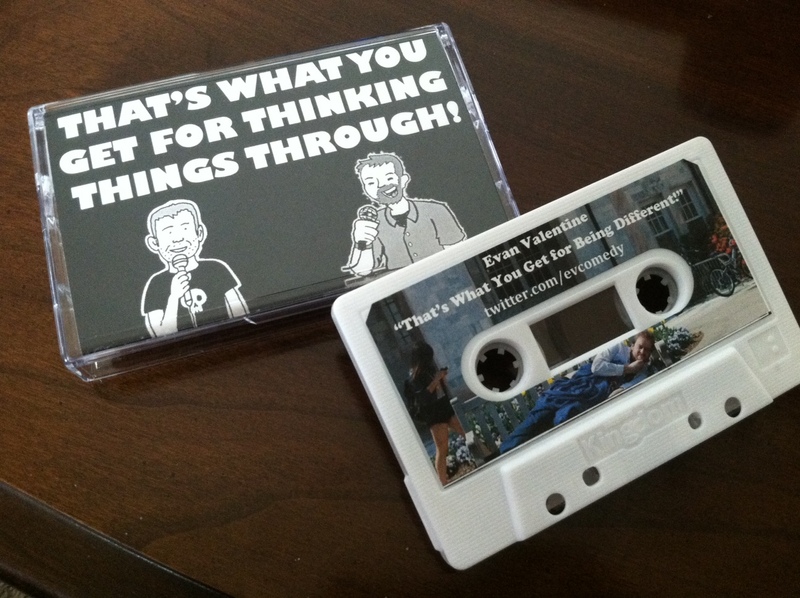 “That’s What You Get for Thinking Things Through” is a mash of our two album titles (“That’s What You Get for Being Different!” and “Yeah, I’ve Thought This Through”) and was dubbed onto a limited run of only 24 cassettes. We have some copies left over from the Ragnarok 3.0 Tour, and they’re available for you, friends. If you’re in Knoxville, stop by Hot Horse (108 E. Jackson Ave) and pick yours up for only $5. That’s two comedy albums for the price of roughly half of one. If you’d like a copy of your own and can’t be in Knoxville, then you can go ahead and paypal $7 (includes shipping) to tywilliamson [at] gmail [dot] com and I’ll get it in the mail within a day or two! Layout by Tyler, cartoon drawings by Ben Snakepit (Tyler) and Jake Young (Evan). 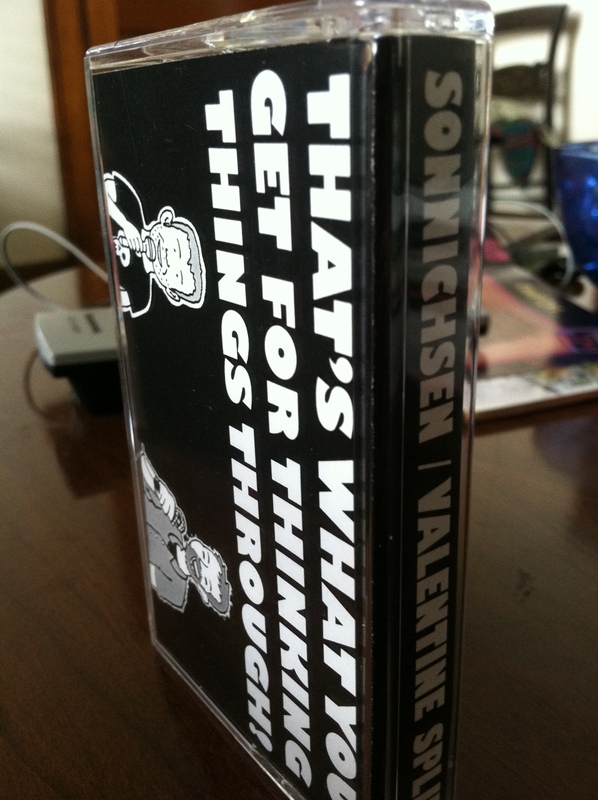 Tags: analog, cassette, hot horse, knoxville, split cassette, standup comedy. Bookmark the permalink. Previous post ← WEDNESDAY July 30th at the Pilot Light: The “Redefining Rock Bottom” Tour Featuring Dustin Meadows at the Pilot Light!